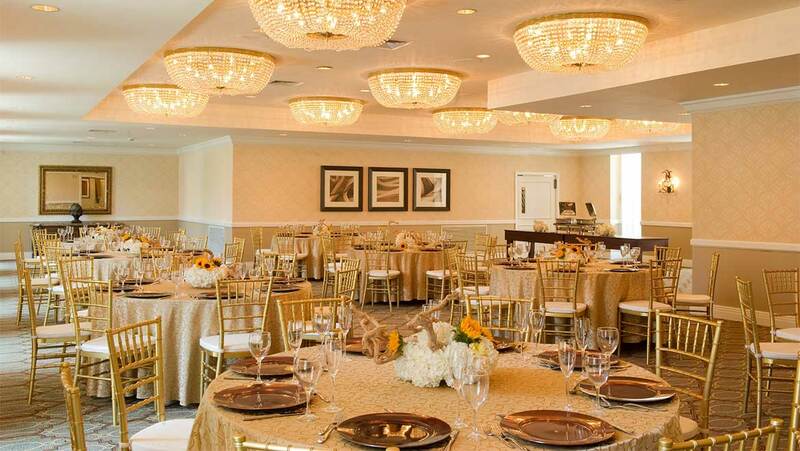 This classic ballroom features three grand crystal chandeliers and a wall of French doors leading to a breezeway, perfect for guests that might want to have a more intimate conversation during the wedding festivities. The space features crown molding and elegant wall sconces that create a warm and inviting space perfect for the most lavish affairs of up to 300 guests. 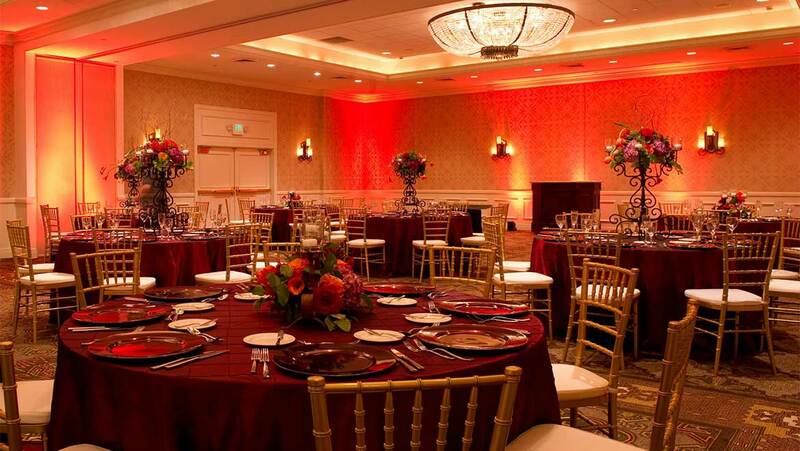 The Madero Ballroom can be found on the fifth floor of the hotel and boasts its own private foyer. This space is the junior version of the Iberian Ballroom featuring two grand crystal chandeliers. This space is ideal for weddings of up to 150 guests. Its’ private entrance and location within the hotel make it an ideal setting for wedding parties that want to dance the night away! 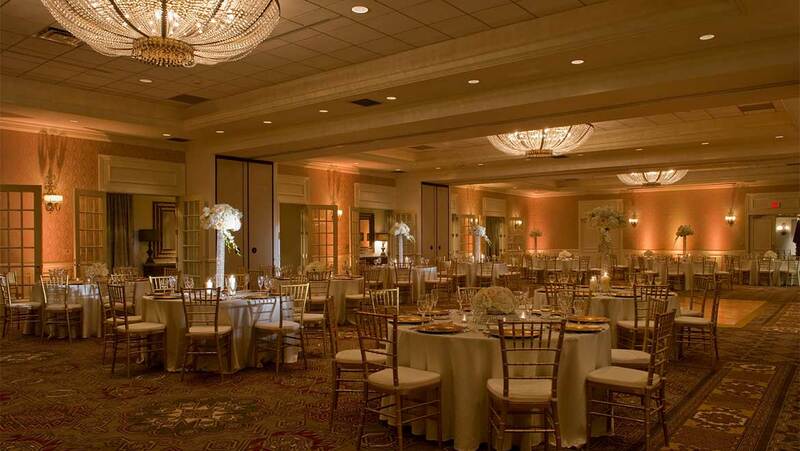 Found on the fourth floor, this ballroom is a unique space for all types of wedding celebrations. The room features walls of French style windows that let in beautiful natural light during the day and nicely frames the historic side of the hotel and downtown San Antonio lit up, at night. This room will comfortably accommodate up to 120 guests. A truly one-of-a-kind room located on the first floor of the hotel, neighboring the pool courtyard. This Spanish influenced space features exposed wood beams, arch windows overlooking the pool courtyard and an attached sun room with terracotta tile flooring and an open skylight ceiling. Hanging from the skylight are antique star lanterns that are lit in the evening. 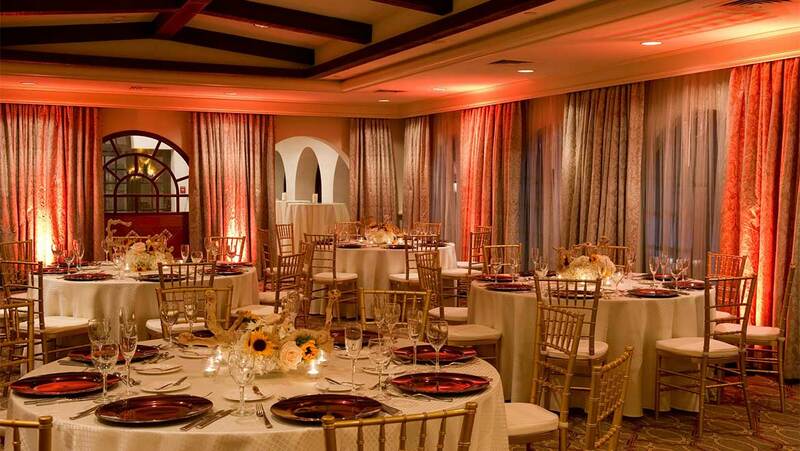 This space is wonderful for intimate weddings of less than 100 or a rehearsal dinner. The centrally located courtyard at the Omni La Mansión del Rio Hotel transports you away from the hustle and bustle of downtown San Antonio and into an intimate and romantic garden setting. 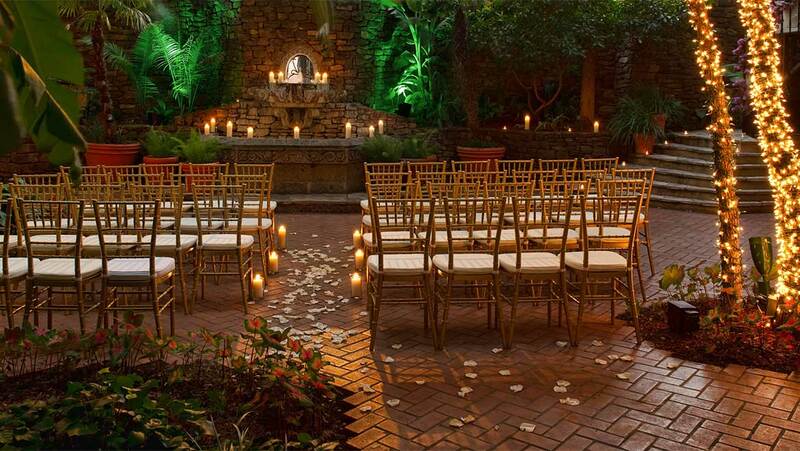 This outdoor ceremony space is available for ceremonies ranging in size from intimate groups to larger gatherings. The courtyard can accommodate multiple set up configurations including a grand staircase entrance. This space is located on the ground level close to the hotel’s main entrance, making it convenient for the arrival of wedding guests. Rental of the courtyard gives you the space privately for the duration of your ceremony, as well as photos after. For evening ceremonies, your reservation includes our signature candlelight set up with both pillar and votive candles which truly enhance the natural beauty of this elegant outdoor space.